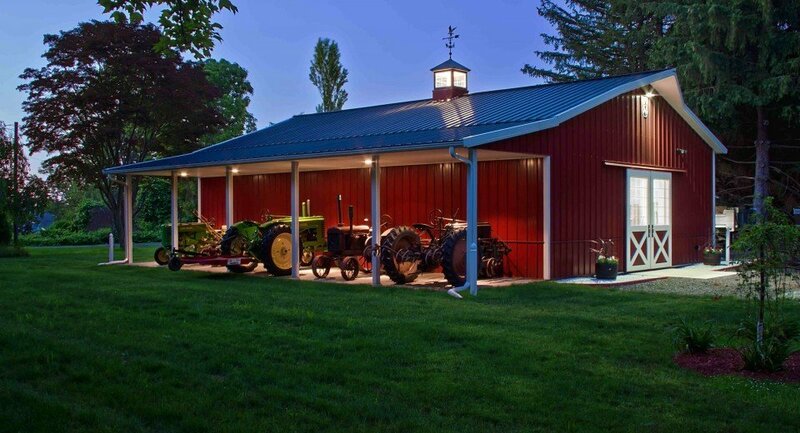 Hansen Pole Buildings offers customized agricultural, commercial and residential pole barn kits. The company which is based in Brown Valley, Minnesota, and was formed in 2002, bills itself as the first to offer post frame kits on the internet. It was founded by Judy Hansen who was a registered nurse by profession at the Spokane VA Hospital. She eventually ditched the job after the business proved profitable. Hansen Pole Buildings made its first sale in May 2002 and was able to sell and deliver 89 buildings during its first partial year. The rest is history. Hansen aims to give customers a value for money by ensuring that each and every component undergoes a comprehensive check to ensure it is able to perform structurally. What is interesting about this company is that it is always ready to match the competitors’ price. If you have a quote at a lower price for the same building, simply show it to them and they can adjust. When delivered, your building comes with easy-to-understand instructions in a fully illustrated manual. Also available are stamped engineered plans. Unlike many other companies where you are charged for every alteration in the original design, Hansen allows customers unlimited building customization. You may change the color and the style as many times as you like. Hansen Pole Buildings are also very useful to customers. If you have any question about pole barn planning and design, you may simply browse through their website and it’s most probable that you will find an answer at their learning center. Over the past years, the company has kept track of the most asked questions by their customers. They group them together under general categories for easy reference. They can be also easily reached at 1-866-200-9657. A company representative is always happy to assist. Is your budget tight or are you financially challenged? Hansen Pole Buildings has a variety of financing options to offer that suit your financial needs. You may directly apply to their financing program by calling them up or you may simply fill out a form provided online. Hansen buildings are environment-friendly. It utilizes renewable and recyclable materials that are also regionally produced. Its open floor plans which encourage the use of polycarbonate light panels and windows to maximize the use of natural lighting. Moreover, since most of the components are pre-cut in the factory prior to delivery at the job site, excess materials are reduced. The waste is further lessened by making it sure that all materials are ordered and manufactured exactly according to the blueprint and plans. The scraps -whether metal or wood – and all packaging are recyclable at any local facilities. Hansen Buildings also make sure that the lumber it uses is provided by suppliers who adhere to responsible forest management. 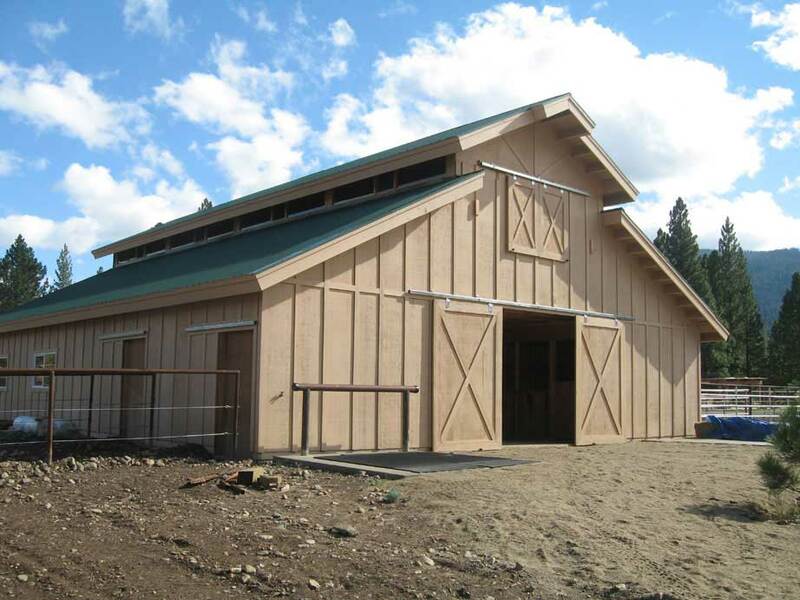 How much are the pole barns being offered by Hansen Pole Buildings? 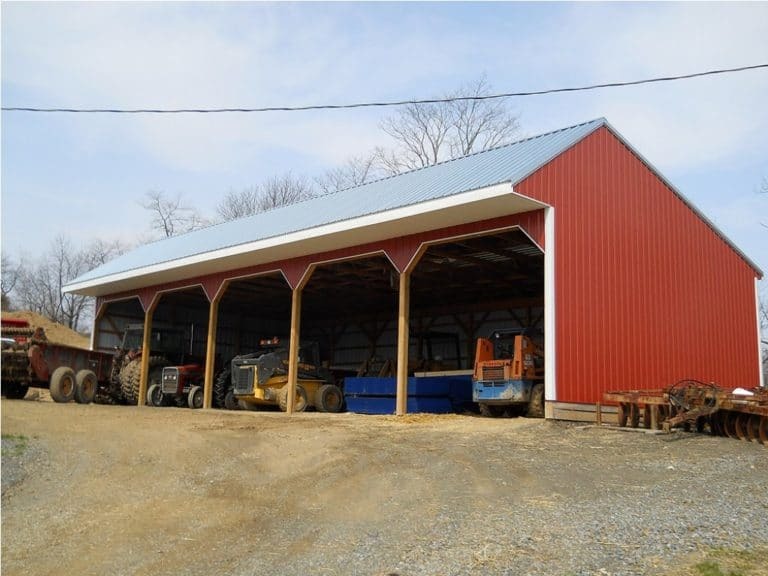 Prices for pole barns vary largely on the building dimension. The location is also a major price factor to consider as prices may differ from one place to another due to local design requirements and material cost. 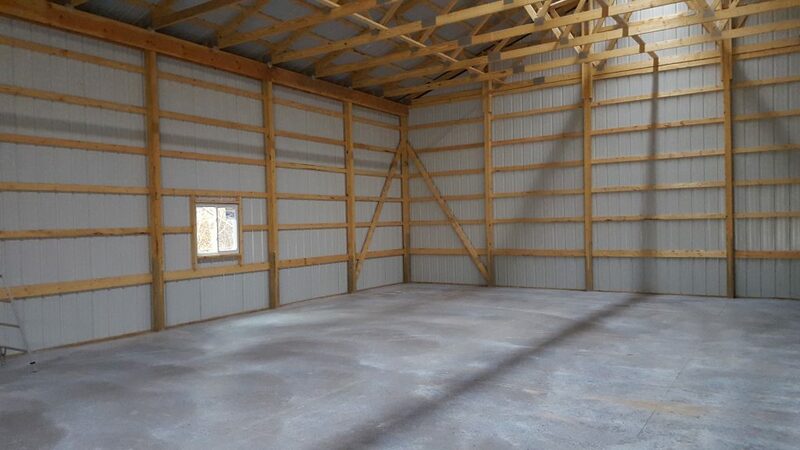 For small buildings such as a garage or a hobby building, pole barn packages measuring 500 to 2,000 square foot could be a perfect fit. Take note that prices for pole barns for every square foot significantly increase normally after 60’ widths. What building styles do Hansen Pole Buildings offer? 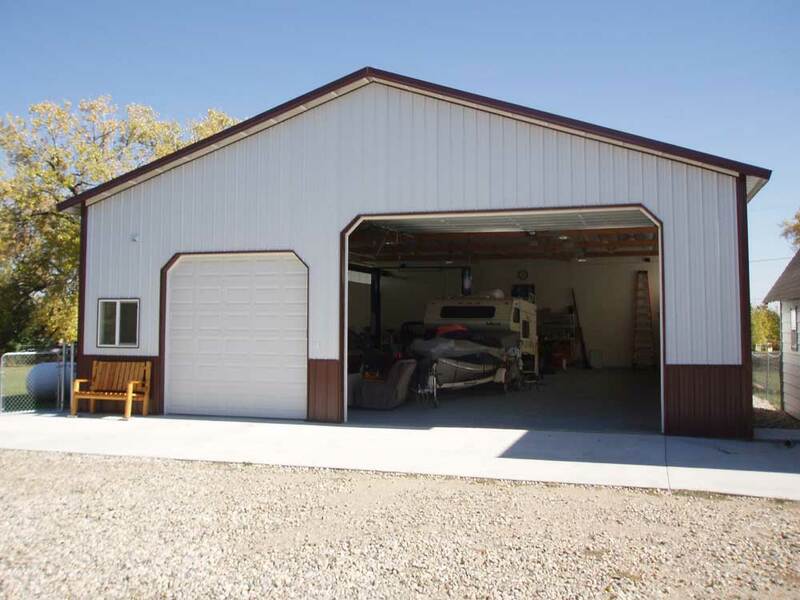 At Hansen Pole Buildings, you can choose to custom design the roof. It also offers three standard choices of building styles to suit your needs. The gable roof design is the most requested as it is perfect for those having a tight budget. The slopes commonly requested measure between 2/12 and 8/12 and are used for all building functions, from barns to shops, and from garages to a new home. For those looking for a design that will work best for RV storage and horse barns, the monitor roof is a perfect choice. It is partly a modification of the gable roof. It has a tall center section that accommodates tall objects and allows vehicles to drive through. Its layout meanwhile works well with stall kits, making it popular for horse barns. You can choose between a clear span or interior pole supported building. The gambrel roof design is rarely requested as it comes with a slightly higher cost per square foot. It is, however, one of the earliest pole barn designs and hence can be commonly found elsewhere.